Hurricane Lane brings tremendous wind and rain, causing a flood threat to Hawaii. Hurricane Lane weakened by Friday but forecasters and officials warned the Category 1 cyclone was still producing DANGEROUS rainfall totals that may result in FLOODING. The center of the storm being about 120 miles south of Honolulu on Friday, is not expected to come ashore. Though, the eye wall could pass DANGEROUSLY close to the central islands, including Oahu and Maui, in the coming days. I understand that this is a very scary and difficult time for us all. The outcome is very unpredictable and may likely be devastating. In any case it is best to be prepared! Wether the damage or flooding is minor or catastrophic damage SERVPRO of Kailua is ready and able to help! We service both COMMERCIAL properties and RESIDENTIAL properties, no matter the location. We are available 24 hours a day. We provide FREE inspections and estimates as well. We work with ALL insurance companies and do accept self pay at a discounted price. We also can arrange for payment plans if need be. Whatever the case is we want to help through this difficult time! Please do not hesitate to call us right away! We will get to you ASAP and in emergency cases we will be there right away. PLEASE CALL US AT (808)476-0868 OR (808)235-5015 RIGHT AWAY! REMEMBER THAT THE LONGER WATER SITS IN YOUR HOME THE MORE DAMAGE IT WILL CAUSE, especially storm and flood water. Employees at this Waipahu, Hawaii shoe retail store got more than they bargained for when they arrived to work early Monday morning. A water main out side the store burst, flooding the entire store with muddy, contaminated water. Flood water is category 3, the highest category of water. SERVPRO of Kailua North/Laie responded immediately and was able to get the business back up and running in no time! With our prompt and efficient production team the job only took a few days. We are available 24 hours a day. Our duty is to make it like it never even happened. Call us today at (808)235-5015. We provide free inspections and free estimates. We are here to help! No job is too big or too small, WE DO IT ALL! A fire can happen in the blink of an eye. No matter how safe or careful you are it sometimes just happens. When fire takes over your home and life SERVPRO of Kailua North/ Laie will help you take it back. This home suffered a kitchen fire from a burner that was left on, on the stove top. 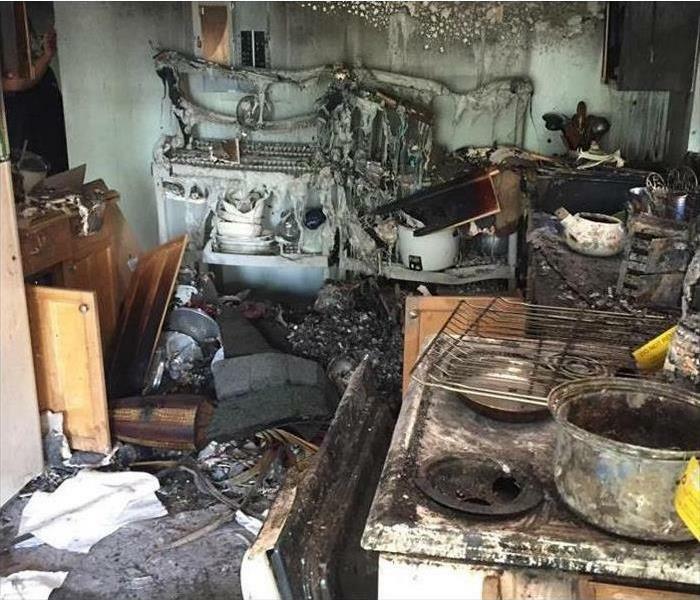 SERVPRO of Kailua North/ Laie understands that after a fire your life can be in shambles. We take ever measure to restore your home as soon as possible so that you can have your life back. We have a fast and friendly production team available 24 hours a day to help you with any and all disasters. We make it "Like it never even happened." Call us at (808)235-5015. 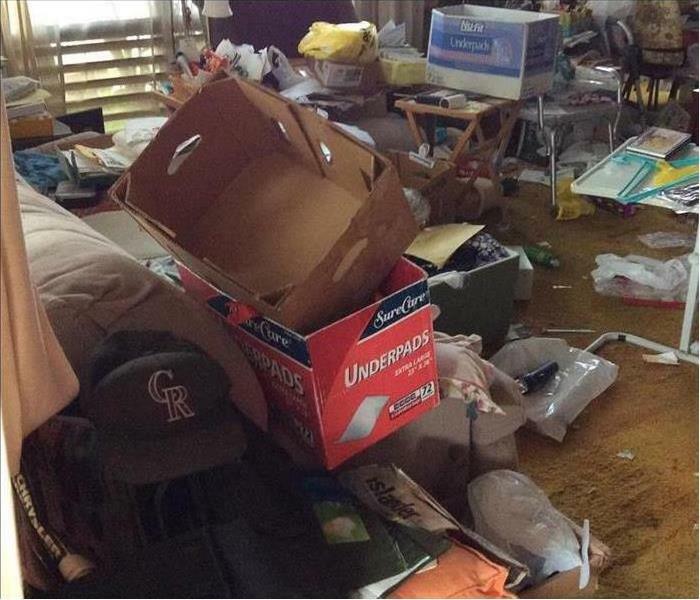 Nobody wants to come home from the best vacation of their life to a flooded house. Floods ALWAYS seem to happen at the worst time ever. If you are planning to be away from home for a while take a few seconds and shut off the main water supply to your house. As long as the house is empty and no one will need water inside or out side the house (like for wartering the lawn) you should be fine. It only takes a second and could possibly save you from returning home to a nightmare. If you have any questions please call us at (808)235-5015 we would love to assist you in any way that we can! We provide free inspections and free estimates and are available 24 hours a day, 7 days a week. SERVPRO of Kailua North/Laie is available 24 hours a day for water emergencies, large or small. When you are dealing with water damage, immediate action is crucial. A delay of just a few hours can greatly increase the severity of the water damage. We understand that when you call us, you may be feeling confused, stressed, and vulnerable. You need an expert to guide you through this crisis. SERVPRO of Kailua North/Laie has the specific water damage training and experience to help you through this tough time. We specialize in water damage restoration—in fact, it's the cornerstone of our business. 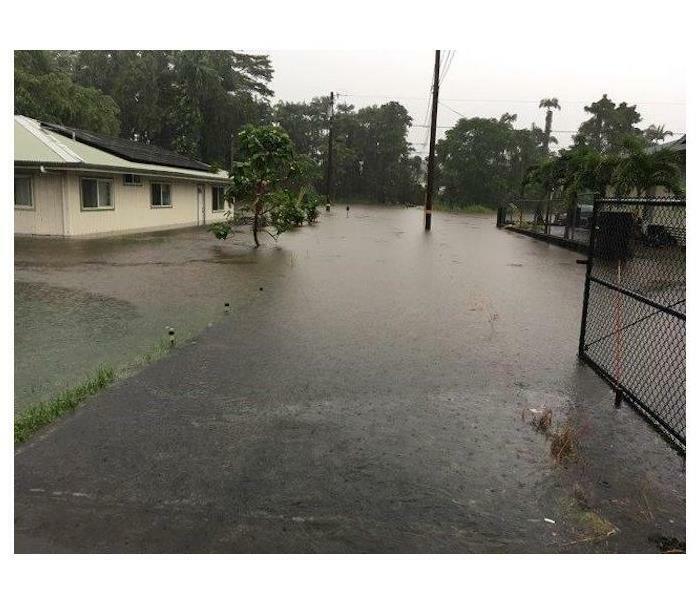 In emergencies SERVPRO of Kailua North/ Laie will come out to the site immediately. Flooding and water emergencies don’t wait for regular business hours and neither do we. SERVPRO of Kailua North/Laie provides emergency cleaning and restoration services 24 hours a day, 7 days a week—including all holidays. Flooding and water damage is very invasive. Water quickly spreads throughout your home and gets absorbed into floors, walls, furniture, and more. SERVPRO of Kailua North/Laie arrives quickly and starts the water extraction process almost immediately. This immediate response helps to minimize the damage and the cleaning and restoration costs. SERVPRO of Kailua North/Laie specializes in the cleanup and restoration of residential and commercial property after a fire, smoke or water damage event. Our staff is highly trained in property damage restoration. From initial and ongoing training at SERVPRO’s corporate training facility to regular IICRC-industry certification, rest assured our staff is equipped with the knowledge to restore your property. Indoor mold is a common concern in Hawaii as Hawaii's climate is a perfect environment for mold. 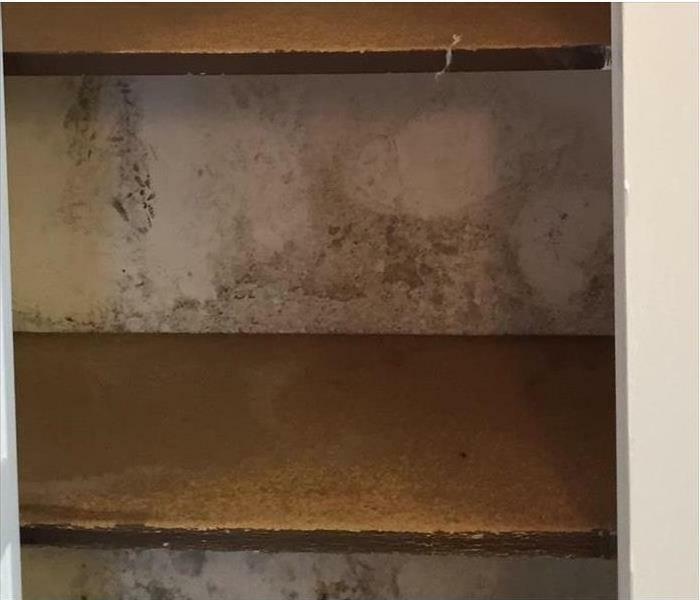 Over growth of indoor mold can occur for many reasons, the most typical setting we find an over growth of mold is in homes that have been unoccupied for a length of time. The main reason for this is because of the lack of air movement in the home. When a home or business owner’s leave their property it is usually left lock up, window closed tight, and AC turned off. With our humid and moderate temperatures here in Hawaii a home without air movement can be a mold haven, a perfect place for it to grow undisturbed. Mold is present in almost every environment, indoor and outdoor. It isn't of much concern until the spore count ie, how much mold is present, reaches an unhealthy level. This is when health issues can arise. Mold is not only a health concern but it can also cause rot to occur on the surface it is growing on. This can weaken framing or cabinetry and decay sheet rock and flooring. 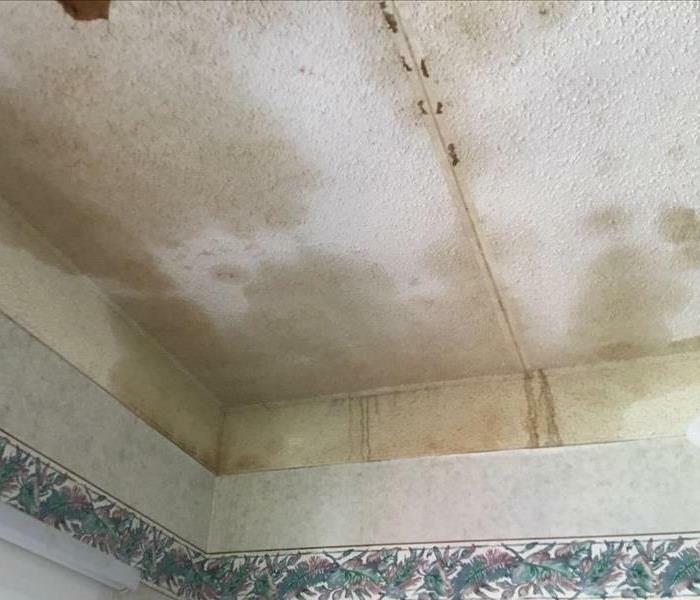 If you find your home is in need of help due to an over growth of mold don't hesitate to call on SERVPRO of Kailua North/ Laie we are always here to help. SERVPRO Of Kailua North/Laie provides 24 hours fire and water damage restoration services on the Island of Ohau. We are available 24 hours a day for water and fire emergencies, large or small. When you are dealing with water damage immediate action is crucial. A delay of just a few hours can greatly increase the severity of the water damage. We answer our phones 24 hours a day and are ready to respond any hour of the day. We understand that when you call us, you may be feeling confused, stressed, and vulnerable. You need an expert to guide you through this crisis. 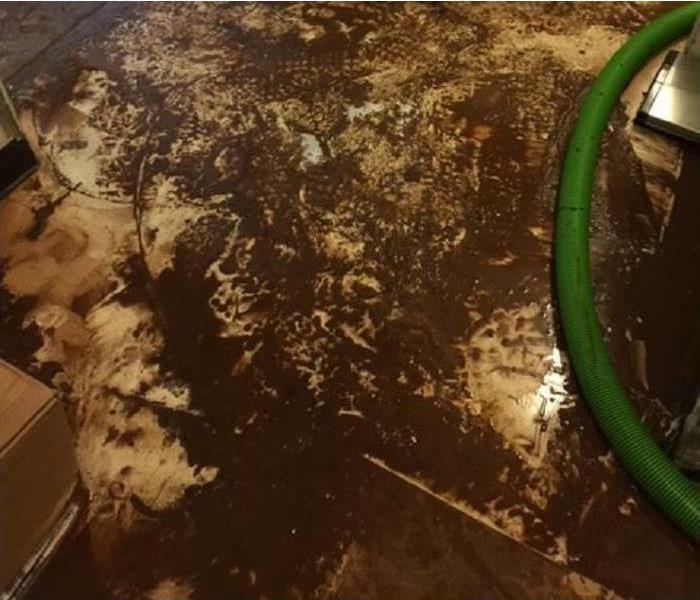 SERVPRO of Kailua North/Laie has the specific water damage training and experience to help you through this difficult time. We specialize in water damage restoration—in fact, it's the cornerstone of our business. 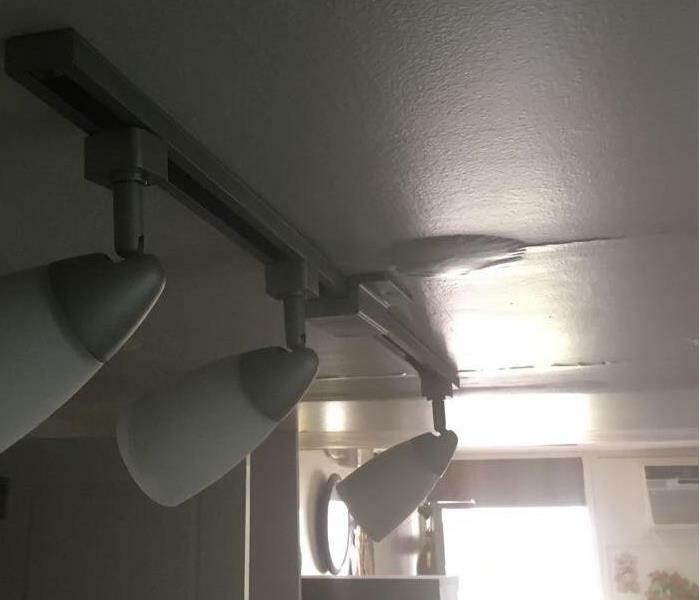 The risks of living in a Condo. Roof damage caused from water leak in above unit. When you live in a condo unfortunately that means we are susceptible to all kinds of mishaps. Anything can happen in the condo above you. Anything can happen even in the condo next to you. They could accidentally leave a faucet on, have plumbing issues, have a water heater or appliance leak. Or even a very slow leak that has gone undetected for long periods of time. This consequently may cause potential damage to the unit below. This can also lead to mold and bacteria growth. In these cases be sure you know who to call right away to prevent further damage. Our number is (808)235-5015. We are available 24 hours a day 7 days a week. No job is too big or too small, we do it all! Appliance Malfunction and Leaks are far more Common than we Think. Water damage to Ceiling Caused by a Dishwasher Malfunction Upstairs. Appliance malfunctions are one of the most common reasons water damage affects today’s homes. A slight breach in the gasket on a washer or a small leak in the pipes leading to an automatic ice maker can slowly damage the walls or the floors of your Kailua home in hidden areas. SERVPRO technicians receive training to locate and restore the many paths water takes to intrude and damage structures of your home. Our crew locates the leak and arranges for repair and then gets to work on the damage done by the water. As we work through the areas saturated we look for mold growth, which is common when water leaks over time. If found, we add mold remediation to the agenda; our technicians are trained in the EPA mold abatement protocols. 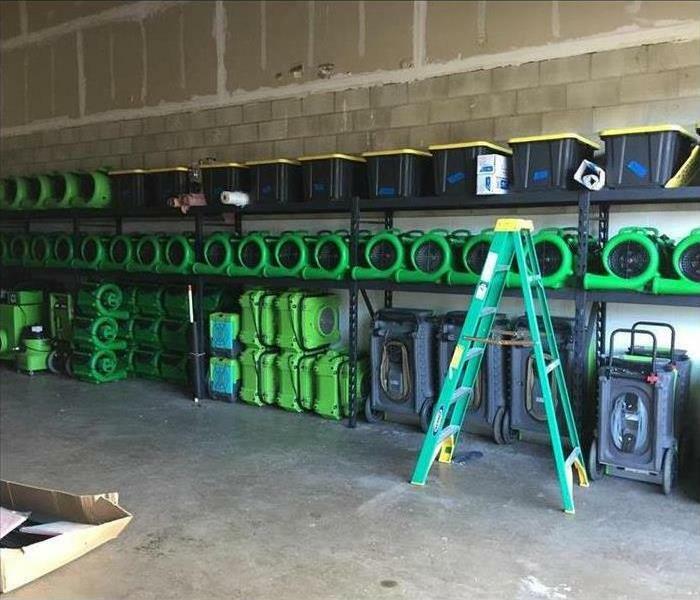 SERVPRO crews extract any visible water and set up air movers and dehumidifiers to reduce moisture in the air and fixtures. We recommend you run your AC units as well to lower humidity. The team monitors moisture levels, and we remove our equipment only when the proper levels are attained. 7/10/2018 - The risks of living in a Condo. 7/10/2018 - Appliance Malfunction and Leaks are far more Common than we Think.